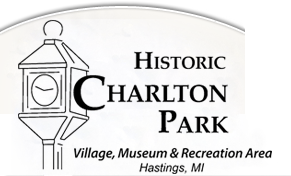 Historic Charlton Park's Rental of the Church Basement for an event runs Sunday - Friday from mid April until mid October. The rental fee is $75.00-$100.00 for a four (4) hour block of time and $35-$50 per hour thereafter. The church features a full kitchen and holds 60 people maximum. Only one event can be booked per day in the Church Basement. To check availability, please contact our office or fill out our Reservation Request Form.